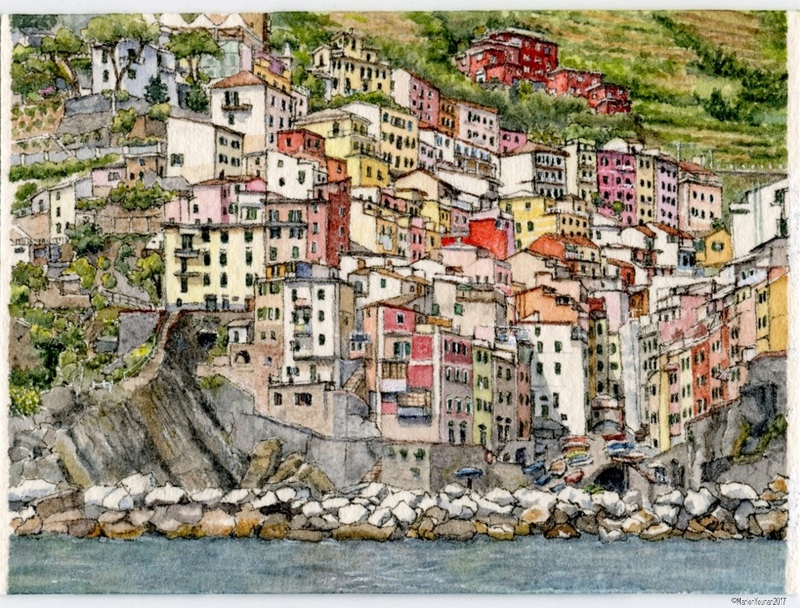 So many times I’ve been asked at shows if I have all 5 of the Cinque Terre villages available in the Mini Vacations prints series (available only at shows). “No, I’m sorry I don’t”, I’ve answered for the last 10 months, and with each progressing month it has become more painful to say. In 2016, I painted the 3 middle villages as Mini’s. I have painted 2 interior village miniatures of Monterosso al Mare, but they aren’t particularly recognizable as anything but “Italian”. Then last February I painted an 11″ x 17″ of Riomaggiore. So I had painted the 5 villages but not all at the same size or with the same viewpoint. What took me so long? I didn’t have the viewpoints for Monterosso or Riomaggiore that I had of the 3 completed paintings (all taken from the coastal path), so I let my purist nature (lol) set aside the idea of painting these towns from other vantage points. However, after several requests this summer, I revisited my photos. 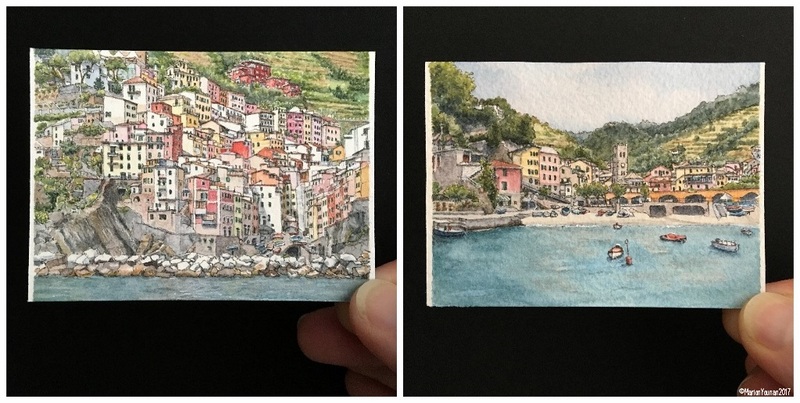 As a subject, Riomaggiore is very complex – many more of the cliffside houses compacted together than the other towns – so I didn’t know if I could properly capture it in a miniature painting. And ironically, Monterosso has the opposite problem – not enough of the charming colourful houses or dramatic setting of its sister villages. 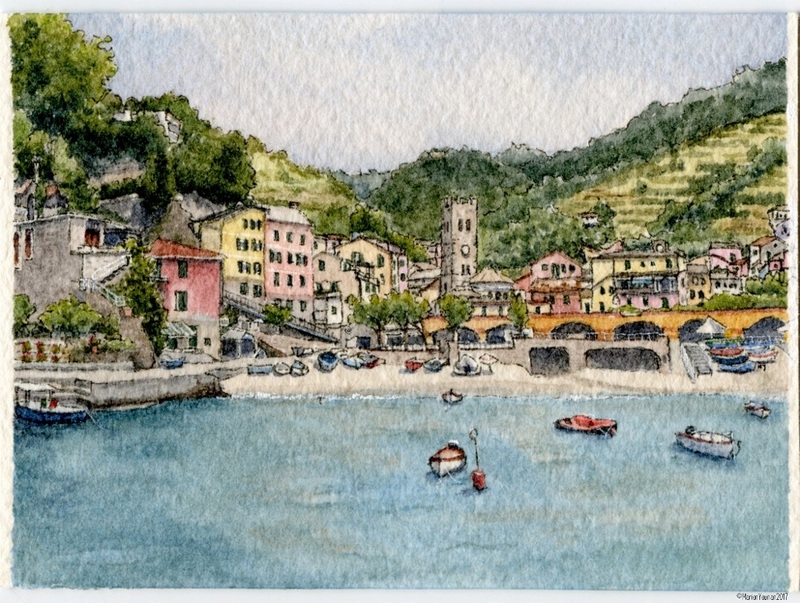 After several hours of editing Monterosso and Riomaggiore photos, I finally settled on two sea views of Monterosso (the old part) and Riomaggiore that seem to combine well with the other 3 completed village paintings. So happy that I can now answer “Yes, I do” to the question “Do you have all 5 of the villages?”! The Cinque Terre is gorgeous, isn’t it! I agree with you that to really get the flavour of the area you should spend more than one day. And take in the town of Portovenere too. 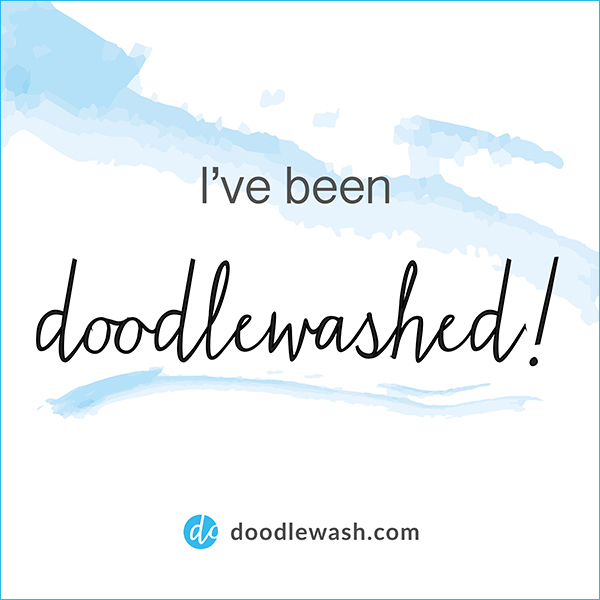 Glad you like the work! And happy travels to you both!